We have all done it. We are prescribed a medication to help us, but we don’t take it as directed, or at all. Sometimes we don’t even fill the prescription. Why? Things get in the way of getting to the pharmacy. One last phone call at work or one more math problem with your child. Or we begin to feel better and stop taking the medicine. Or we don’t understand the instructions. Or we are not convinced the medication will work. Or there are side effects we do not like. Or the medication is too expensive. Or any of a hundred other reasons. Adherence is how well we follow the recommendations from our health provider. Medication adherence ranges, but the track record isn’t good, with the average rate about 50%. While there are many factors that influence adherence, motivation plays an important role. Increasing motivation to stick with a medication regimen requires work by both the patient and the provider. Think about your current and future life goals and how this medication can help you reach these goals. Clearly communicate these goals to your provider and encourage your provider to help connect taking your medication correctly to your life goals and values. Explain your schedule and activities, and ask him or her to help find a medication regimen that fits your lifestyle as closely as possible, to make adherence as easy as possible. Ask direct questions about the medication, including how often to take it (fewer doses are better! ), potential side effects, and cost. Repeat the answers back to ensure you’re clear on the instructions. 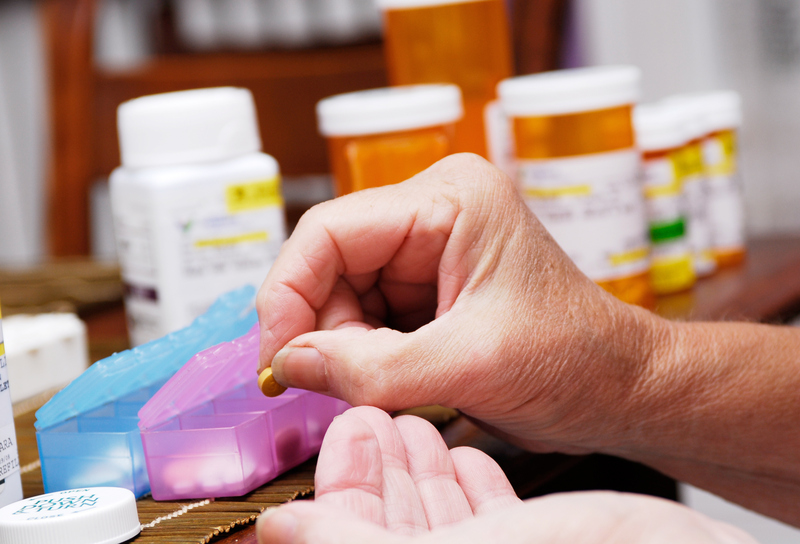 At your next visit, talk about how you are doing with taking your medications. Don’t be afraid to bring up any barriers that prevent you from taking them regularly and correctly, including cost. There are several ways to increase motivation to take medication as prescribed. Think about why you are taking the medication in the first place. Will it help reduce pain so you can return to work? Prolong your life so you can spend time with your grandchildren? Find ways to remind yourself of why it is important and visualize the results of success! Put a picture of your family next to your medicine. Track progress in a journal. Use a sticker chart and reward yourself (a movie, a special purchase) regularly and often. Use a medication planner/pill box. Send yourself email and text reminders. Enlist family and friends to help with these strategies. So, develop a plan to increase your motivation to take your medications as prescribed, and find strategies to be successful. Your life goals will thank you! Medication adherence: WHO cares? Mayo Clinic Proceedings, April 2011. Adherence to medication. New England Journal of Medicine, August 2005. Adherence to Long-Term Therapies: Evidence for Action. Geneva, Switzerland, World Health Organization, 2003. Personal story: With a culmination of effects, like <4 hours of sleep due to pledging a fraternity (dumb), learning that smoking weed and drinking excessively is acceptable, and poor eating, I became what is described as hypomanic. I was a bit overwhelming socially. I was over ambitious academically and physically. In the hypomanic state that followed the poor mental (and physical) hygiene, I was sleeping less due to general excitement. After 6 or so months of this I entered a deep depression. This is when I first visited Dr. X. I was diagnosed with MDD and given 300mg of beta blocker (bupropion) and 150 mg of an SSRI (Sertraline). After about 6 months of crippling anxiety and depression, I was out of depression and still taking that level of antidepressant. I then, again, went back to poor mental,sleep, and physical hygiene. And became hypomanic after about 1.5 years. This led to "mania",Just a more extreme hypomania that lasted about a week. After myself and my family came to the conclusion that my mental health should be assessed, I was diagnosed with type 1 bipolar disorder. I was prescribed an antipsychotic at the time until I was sleeping well (16 hours for a week). I then went back To being prescribed copious amounts of anti depressants (Wellbutrin/bupropion (300mg) and xoloft/sertraline 150mg) as well as lithium. I am now 4 years out of these events and was able to truly find happiness after meeting my psychiatrist 2 years ago. I explained my situation and she seems to believe that if I maintain good health and mental hygiene, that these drastic doses of anti depressants and mood stabilizers were not needed. Until I met her, I was still depressed to some degree, but getting by. Through our approach, I have been healthy for 2 years and have been relieved of the bad side effects of these drugs. I wish doctors would take a more holistic approach to mental health rather than "just take your medicine". I agree, we should take our medication as prescribed, but if you don't think that a competent doctor should consistently be assessing how to change and adhere to changing moods and abilities, then I would not recommend a potential patient to you. None of the suggestions address the problem of the medication being too expensive. This problem is likely to be alot more frequent given the GOP drive to destroy even the mediocre ACA and after that Medicare. It get so old so fast to read these types of columns that don’t recognize what is reality for so many and will be reality for alot more people if the GOP gets their way. Be nice if more health care providers faced that reality–even better if they used their power & influence to work to change that reality for the better.